It is difficult for adults and children alike to remember all the different grammatical rules and exceptions that exist as well as mathematical formulas and rules. Often times, putting things to song can be a good way to trigger a memory of these rules. Schoolhouse Rock is educational set of musical clips that are geared toward helping children and adults enjoy learning. With catchy tunes and clever lyrics, Schoolhouse Rock is a great tool to use in remembering everything from pesky grammar rules to historical events. This may initially sound like just another dry educational video. Thankfully, it?s not. While useful in educational settings, these animated videos are not only educational but highly entertaining. Each video clip is fairly short--accounting for a typical viewer's attention span. Initially airing as filler during Saturday morning cartoons this Emmy award winning show became such a hit that the videos were combined and formatted for DVD. Some fan favorites are Conjunction Junction and The Preamble are a couple of fan favorites. 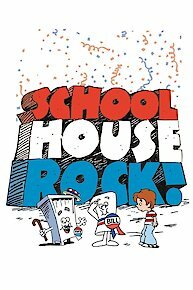 Schoolhouse Rock consists of six main subcategories: Multiplication Rock, Grammar Rock, Science Rock, American Rock, Money Rock and most recently Earth Rock. Multiplication Rock features videos about the power of tens, then multiplication tables all the way up to twelve. Grammar Rock has videos describing verbs, adverbs, conjunctions, interjections, nouns, pronouns, interjections, subject and predicate. The clips tell you what a noun or verb is as well as when and where they should be used. Science rock videos feature clips on the solar system, electricity, gravity and several regarding human systems such as the circulatory and skeletal systems. America Rock explores different aspects of American history such as the shot heard round the world, immigration and the women's rights movement. Money Rock discusses how to budget, pay bills and use checks. It also explains taxes and stock investments. Earth Rock is the most recent edition to the Schoolhouse series. These videos explore recycling and how to be more environmentally friendly. It also explains solar energy and harnessing alternate power sources such as wind and solar powers. Watch Full Episodes of Schoolhouse Rock! Learn about hoe the Electoral College works. Learn about what it means to budget. Learn about using checks instead of cash. Learn about what it means to barter. Learn about the stock exchange. Money Rock. Tyrannosaurus Debt is the sixth episode in the sixth season of the childrens show School House Rock. This episode teaches children about the United States national debt through music. In the episode the national debt is portrayed as a Tyrannosaurus Rex, and the issue featured in the episode is why the national debt continues to increase. Learn about interest and loans. Busy ants teach us about prepositions. The story of a shy man trying to win the affections of a woman named Pearl. Episode 0 - The ABC's of Schoolhouse Rock! Honoring the cartoon that educated viewers about history, grammar, science and math. Learn about how a computer does math. Introduces us to Scooter Computer and Mr Chips, showing the uses of a computer; including homework, lists, dates, office work and games. Schoolhouse Rock! is currently available to watch and stream on ABC. You can also buy, rent Schoolhouse Rock! on demand at Amazon, Vudu, FandangoNow, Google Play, iTunes online.